Protective dental sealants in Rancho Cucamonga are a simple, painless solution to prevent cavities, usually recommended for young children, teens, and even adults. Yes, adults benefit from sealants too! In addition, most dental insurance plans cover sealants for children under age 18 as part of regular preventive dental care. Our dental care team will discuss your options if you are a good candidate for dental sealants in Rancho Cucamonga. Call 909.945.0024 to request an appointment today or click here for our convenient online appointment form. If you are scheduling a new patient appointment, then we invite you to enjoy our New Patient Special, which includes a complete exam, x-rays, a consultation with our dental team, and a thorough cleaning for only $99. Busy Schedule? 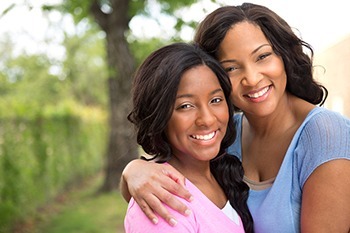 California Dental Care & Orthodontics Offers Convenient Saturday Appointments! Call 909.945.0024 to request an appointment today or click here. As one of the premier dental and orthodontic practices in Rancho Cucamonga, CA, our team at California Dental Care & Orthodontics also provides 5-star dental sealants to patients from Rancho Cucamonga, CA, Alta Loma, Ontario, Claremont, Fontana & Rialto, CA.